A misfortune star that lands in the Southwest Sector is one of the most dangerous star that indicates accidents, illnesses and bad luck. Do not attempt any groundbreaking, renovation or drilling at this sector as you will disturb the 5 yellow. An auspicious time and date must be selected to perform these activities. Another misfortune star has arrived in the Northeast Sector for year 2019. 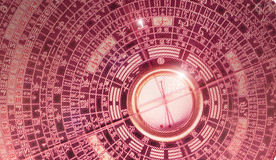 It is a dangerous star that indicates accidents, illnesses and lost of wealth. Please take extra precaution if you're using the Northwest room. The Southeast sector is an area that brings gossip, accidents, financial losses, burglary and robbery. Negative "qi" gets strengthened further if your main door is located in this sector. Please be cautious. Three Killing occupies 90 degree of a Luo Pan compass ( 5 1/2 mountains) which is in the West Sector of a house / office. If your house is affected by the annual 3 killing, do not attempt any groundbreaking, renovation especially moving into a new house / office without proper time given and advice. 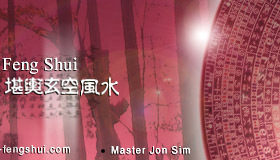 When the afflicted "qi" is disturbed, it will bring misfortunes like major financial loss, injury, sickness, etc. The result is visible. Grand duke occupies 15 degree in the Northwest sector of a house. You will experience defeat, obstacles and loss if you confront it with activites like groundbreaking and/or renovation. Age Break occupies 15 degree of Southeast sector (Opposite Grand duke Jupiter). Similarly, do not attempt any groundbreaking, renovation and moving into new house. 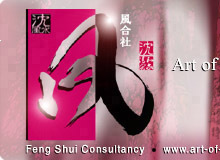 - Copyright © 2006-2019 www.art-of-fengshui.com. All rights reserved. All material in this web site is protected by copyright laws.